Just wanna pass this along for those who either haven't left for Boston yet, are at their hotel or otherwise have access to the forums. Several congoers have confirmed to have run into Vermont Senator and former Presidential Candidate Bernie Sanders earlier this evening. Apparently, he will be staying at the Hilton for 3 events in Boston unrelated to Anime Boston. Anyone who's met him knows if you run into him somewhere and he's not in a hurry, he will stop and chat with you for a few minutes. Weather you like him or not and weather you care about politics or not, I figure I pass this along for anyone who may be interested in seeing him in the area. 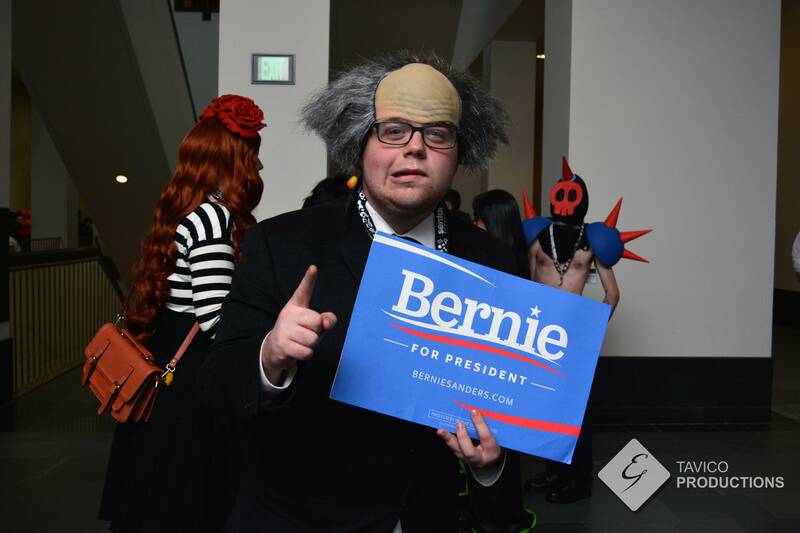 There was a Bernie cosplay last year. I remember that guy. It was great. The Bernie cosplayer last year sure did a good job acting like Bernie as well. Also, wouldn't it be great if the real Bernie Sanders and the cosplayer met and took a picture together?! There was a Trump and Hillary cosplayer last year as well if I remember right. Heard they all got together and had an impromptu debate too. LOL. Spotted Bernie at the Marriot this morning as I was cutting through their lobby. Looked like he was getting a boarding pass and was inquiring hotel staff about breakfast. I will be honest, I was a little disappointed that Bernie Sanders wasn't in the year before. Would have been very happy to see him and a Bernie Sanders Cosplayer side-by-side.